There are many myths and misconceptions about our mostly harmless, eight-legged friends the spiders. Our fear of them often impacts how we approach them, as well as how to deal with them despite their importance to the environment. Most commonly, spiders are squashed by homeowners even if it is not truly necessary. The most common misconception of spiders is that they are extremely dangerous. Based on data retrieved from many cases of spider bites, this is mostly untrue, at least for human beings. Spiders are effective at keeping insect populations in check, which means less pests in our environment. Their bite is deadly to their prey, but not so much humans. Most spider bites end up being no more than an annoying itchy bump, and even if an individual is allergic to the bite, very rarely is it ever lethal. In cases where bites from even the most venomous species of spiders (such as the Brazilian wandering spider or the Funnel web) are being treated, only 10% of patients needed to be treated with antivenin. In a similar vein, tarantulas generally pose no threat to humans at all. Some sympathetic homeowners choose not to kill spiders, instead opting to take them outside where they might flourish. However, this isn’t always the best option because not all spiders are not good at surviving outside. They didn’t accidentally wander into our house from a nearby bush. They enter our homes through small cracks, living in inconspicuous areas. Instead of helping them thrive, by placing them outside you may be doing just the opposite. In order to reduce the amount of spiders in your home, you will have to seek out any potential access points the spiders may use and seal them up. Another misconception that many North Americans have is that brown recluses live in their area. This happens more commonly with people who live on the west coast, who are adamant that they’ve spotted a violin shaped spider, and that this means it is a brown recluse. There is some truth to the misconception: brown recluses really can be found in the middle southern states ever since 20 or so years ago. However, out of any sightings in this period of time, only 10 have actually been confirmed to be brown recluses. Additionally, there are other species of spider that have a violin shaped body. 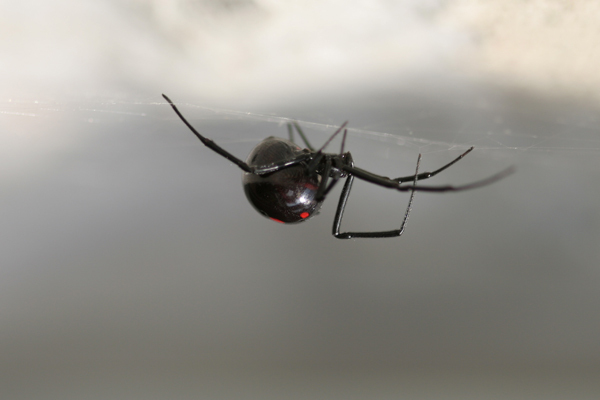 Most people think of black widows as the spider with a red hourglass shape on their abdomen. While seemingly unique, this is actually a common occurrence; other spiders can have this marking without being a black widow. This is because individual species can vary greatly in their appearance, and it is very difficult to confirm their species without evaluating their DNA or looking under a microscope. As such, just because the spider looks like a dangerous spider, doesn’t mean that it is one. The many myths about spiders are rampant, so it is necessary for one to take into account that almost everything they’ve learned about spiders from media or general chatting is wrong (unless spoken by an arachnologist). This is especially true of anything you might have “learned” from movies involving spiders. Generally, spiders have no interest in you whatsoever and they would rather be hunting something their own size.